Grew up… in a trailer park with her mother. Izzie’s life has never been easy. As a child, she was forced to support herself and her mother, who whittled away their money on psychics and tarot card readers. So Izzie has always supported herself. She even got out of medical school without any debt because she pursued a part-time modeling career. Living… in Seattle. Izzie is finally beginning to experience the kind of life that she always wanted for herself. Instead of living day-to-day, working as a waitress or resorting to modeling to pay for school, Izzie is now a doctor with a regular salary. If only she had the time to spend some of it. Profession… intern at Seattle Grace Hospital. Izzy is among the best and brightest of her generation of medical school students, which earned her a place at one of the most competitive residency programs in the United States. Interests… baking. In order to relieve stress, Izzie bakes muffins and gives them to her friends. 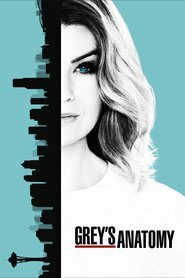 Relationship Status… dating a man named Hank, though the two of them are finding it difficult to keep up a separate life now that Izzie is working 48-hour shifts at Seattle Grace. Izzie is learning quickly that becoming a doctor may require more sacrifice than she ever imagined. Personality… strong, hardworking, and funny. She can be obsessive about baking and cleaning, but she has a fun side too. Izzie Stevens's popularity ranking on CharacTour is #1306 out of 5,000+ characters. See our top-ranked characters and read their profiles.